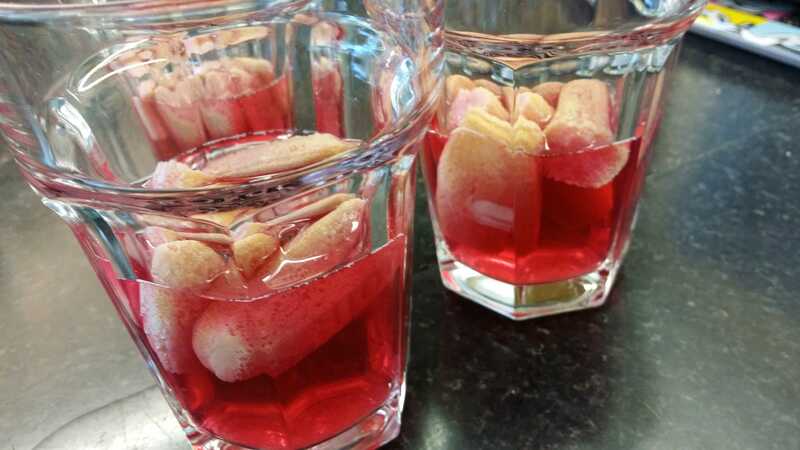 Make up the jelly as per the packet instructions and as it is cooling, break up the sponge fingers and arrange at the bottom of your glass/bowl. 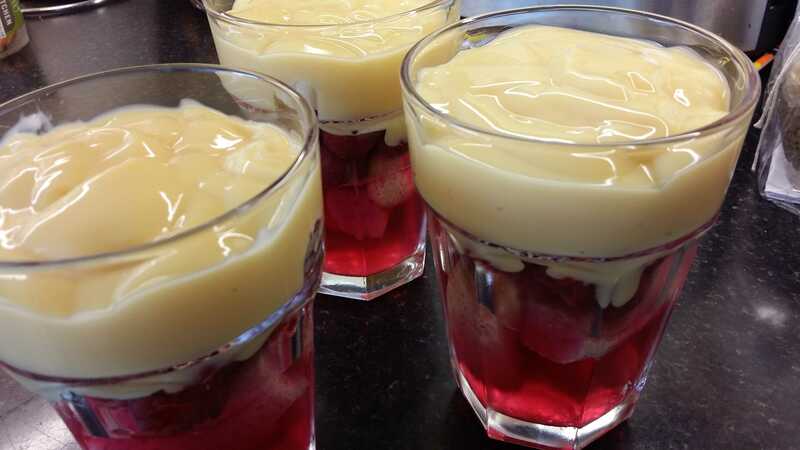 Pour over the jelly evenly between the 4 portions then place in the fridge to set. 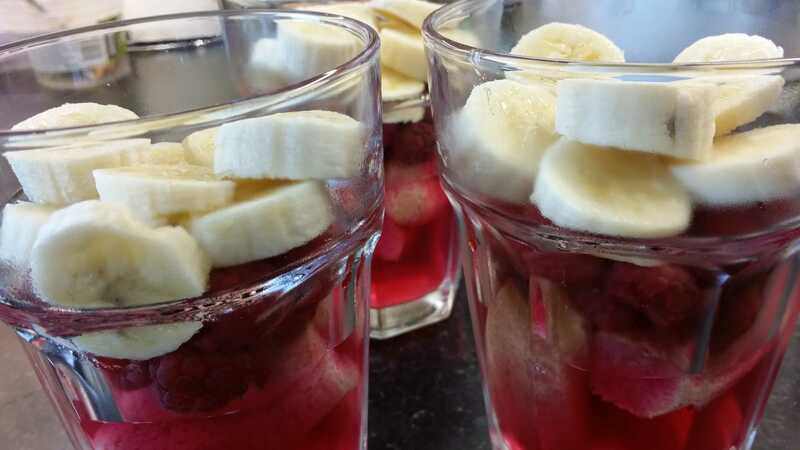 When set, add the raspberries in a layer and then the sliced bananas. Finally, cover with the low fat custard leaving a little room left to add the final topping. 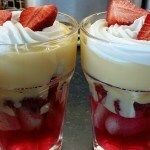 To make the "cream", mix the quark with the sweetener and vanilla in a bowl and then pipe onto the top of the trifle. 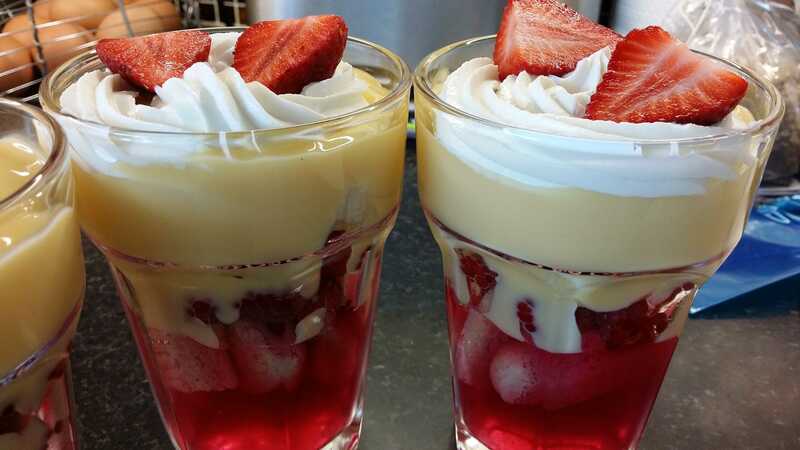 Decorate with a fresh strawberry & serve.